One day last week I was confronted with this situation–which happens rather frequently around here. Mr. D. needed to work late, then go directly to a meeting before coming home for dinner. Meanwhile, I needed to have my dinner on the early side, then go to a dance class in the evening. My dilemma? How to provide each of us with a nutritious meal which could be eaten at two separate times. Are you familiar with this scenario? I’d love to hear from you about the kinds of meals you serve when this happens. 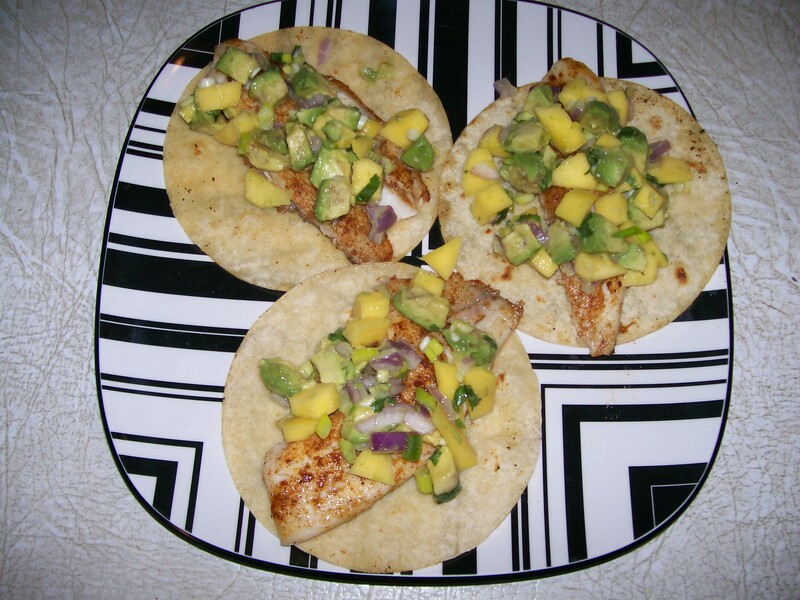 My solution on this particular day was to make a tasty salsa that could be served with spice-rubbed tilapia, quickly cooked as needed; and served in a toasted corn tortilla. I also prepared a tossed green salad to round out the meal, dressing to be added when eaten. 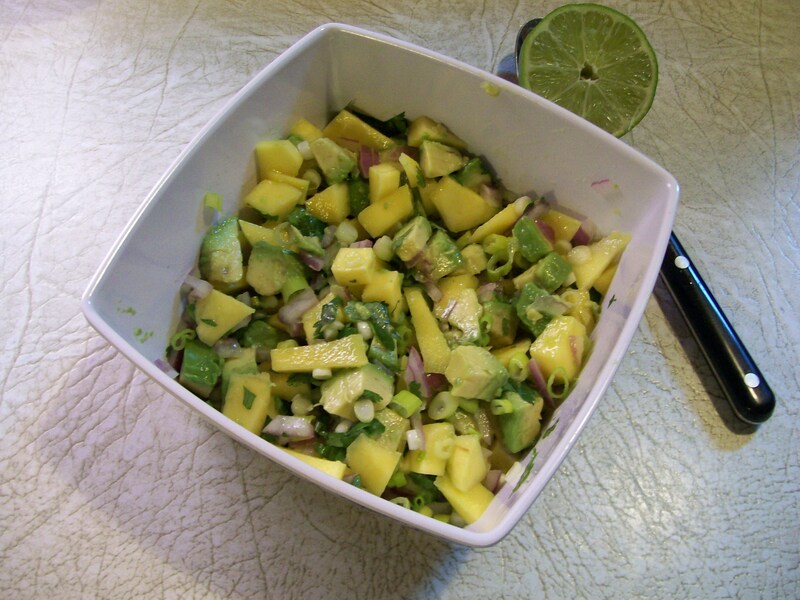 Mix together all the salsa ingredients in a medium bowl, and set aside for flavors to meld. 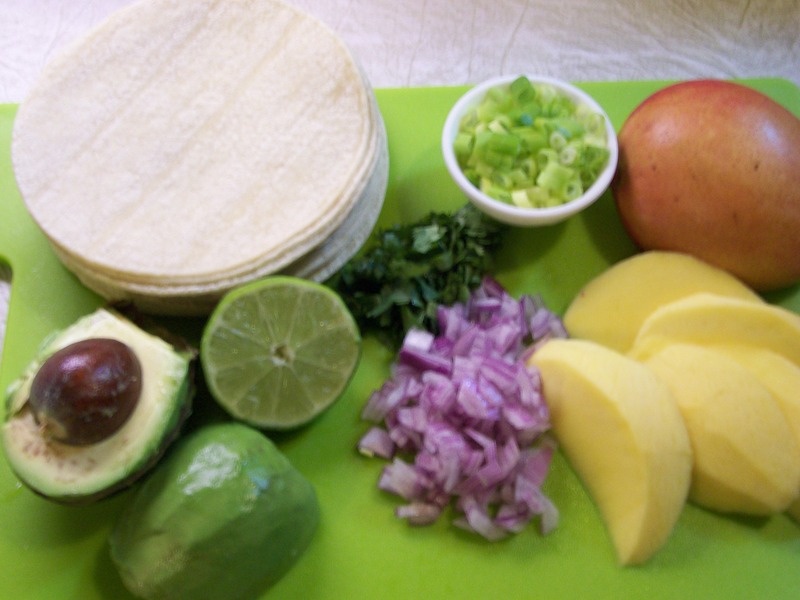 This is a delicious salsa that I make often in warm weather. I love salsas made from fresh ingredients, don’t you? Combine the first 5 ingredients ( thru garlic ). 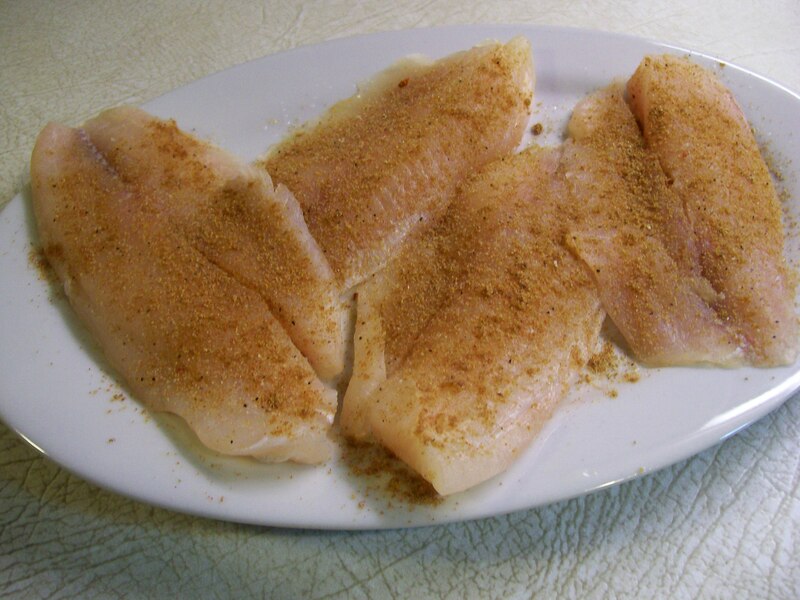 Rub well over both sides of fish fillets. These can be prepared in advance up to this point. Refrigerate, and have ready for cooking as needed. Place a medium skillet over medium-high heat. Add the vegetable oil to pan, swirl to coat. Add fish; cook 2-3 minutes per side, depending on thickness of fillets. Remove to a platter and keep warm. Warm corn tortillas in hot skillet, about a minute per side to warm and soften. I agree with you about the cilantro. Next time I make this I’ll probably double the amount, but not everyone is nutso about cilantro like me and obviously you, too! Thanks for your comment.